If you are looking to increase the size of your breasts without implants, a breast fat transfer may be the right procedure for you. This transformational procedure allows women to naturally enhance their bust through the use of their body’s own material. With this procedure, you can remove unwanted fat from a particular region of your body and inject it into your breasts. This will improve the overall size and contour of your breasts. Dr. Gentile is one of the first triple board-certified plastic surgeons, ensuring that his patients receive the best possible results through his proven surgical techniques. For more information on this innovative procedure, please contact our office today and schedule your consultation with Dr. Gentile. 1 What is Fat Transfer? A fat transfer is a cosmetic procedure that removes fat from one area of the body with the use of liposuction, then repurposes it to another area of the body where volume, definition, or symmetry may be lacking. This innovative procedure allows you to avoid implants and other synthetic materials altogether. Fat transfer provides natural-looking, long-lasting enhancement. It can be used to enhance the buttocks, hands, face, and most recently popular, the breasts. Fat transfer is a very effective way to add volume and contour to an area of the body because the cells that are transferred into the breasts will inhabit the area and make it into a forever home. Another benefit of this procedure is that you are not only receiving a natural looking enhancement but you are also slimming down another region where the excess fat will be liposuctioned. Our patients love this procedure because it makes use of their unwanted fat, which would otherwise be discarded, to transform their entire figures. We know you will love it too! A breast fat transfer is a type of fat transfer procedure that uses your fat to add volume and/or improves the shape of your breasts. The excess fat is removed from a donor site, normally on the abdomen, flanks, or thighs. The fat will then be used to enhance your bust, obtaining an increase of one to two cup sizes. 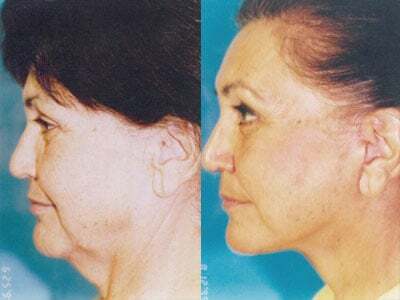 This procedure provides natural-looking improvements to the bust that require no further maintenance and is extremely long-lasting. Dr. Gentile uses the Brava System, an external tissue expander that uses 3D pulling to put gentle tension on the breasts. This sustained pressure causes the formation of new breast tissue which is then augmented by your fat injections. Dr. Gentile is happy to assess if patients are an ideal candidate for the Brava system during a consultation. It is important to know the differences between breast fat transfer and breast augmentation before making the decision of which breast enhancement procedure to undergo. The most obvious difference between these two procedures is that a breast fat transfer does not use any synthetic materials, whereas a breast augmentation involves either a saline or silicone implant to be inserted to add volume. That being said, the outcomes of these procedures are very different. A breast fat transfer does not provide nearly as much of a volume increase as implants do. If you are looking to increase the size of your breasts drastically, a breast augmentation may be better suited for your goals. However, if you are looking to moderately increase the shape of your breasts by only one or two cup sizes, a breast fat transfer would be perfect for your goals. 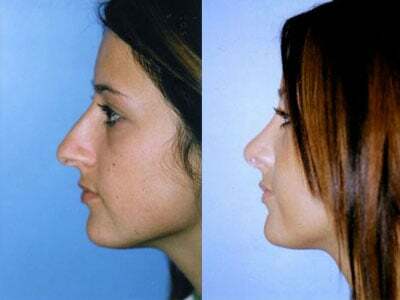 Both of these procedures are offered by Dr. Gentile and can provide women with amazing results. It is important to note that neither of these procedures is better than the other. The right choice depends solely on the patient’s anatomy and desired results. During the initial consultation, you and the doctor can review your options and choose a procedure that is best suited for your particular needs. A good candidate for a breast fat transfer is a woman who is looking to moderately enhance the overall size and contour of her breasts naturally. If you are also looking to avoid the use of synthetic materials to enlarge your breasts, this procedure would be the ideal form of breast enhancement for you. When considering a breast fat transfer, you should be in good health and have realistic expectations of the overall outcomes. Women that may also be interested in this procedure are looking to make corrections or improvements after undergoing a lumpectomy or mastectomy. A breast fat transfer can also be performed to smooth rippling caused by breast implants. Through this surgery, you can correct asymmetry, naturally volumize, and improve the shape and contour of your breasts. It is important to understand though that because this procedure does not involve the use of implants, the outcomes of the fat transfer will not be as drastic as those of a breast augmentation. During the initial consultation with Dr. Gentile, he will ask you about your aesthetic concerns and what you are looking to achieve. Next, the doctor will review your medical history, any previous surgeries, and routine medications being taken to ensure this procedure is a safe option. Dr. Gentile will perform a physical examination to identify the ideal donor sites for the procedure. This will help to determine that a breast fat transfer procedure is the best option to obtain your desired results. Both you and the doctor will then construct a personalized treatment plan. During the time, you will also receive a personalized quote for the procedure. If you are found to be a good candidate for a breast fat transfer and if you are comfortable with your decision, you then have the option to schedule your procedure. During this time, you will be given a list of instructions to follow during your recovery time in order to ensure optimal results. Prior to undergoing your breast fat transfer procedure, Dr. Gentile will provide you with a list of preparatory instructions to follow to ensure your safety and the best possible outcome. If you are a smoker, the doctor will advise you to stop 6 weeks before your surgery. He will also instruct you to refrain from taking any anti-inflammatory medications for 2 weeks prior to your procedure. It is recommended that patients make prior arrangements for a ride home after the surgery. Also, if you have any questions, please contact our office and our knowledgeable staff can assist in any way possible. Before beginning the procedure, our certified anesthesiologist will administer a general anesthetic so you are asleep the entire surgery. Dr. Gentile will start by making a stab incision at the donor site for the liposuction. The doctor will insert a thin cannula and use high power suction to remove the fat cells from the body. These cells will then be placed into a purification system, meaning the fat will be filtered to separate the fat cells from any impurities. After the separation is complete, the doctor will place the purified fat into a special syringe to allow for easy and accurate injection into the breasts. Dr. Gentile will strategically inject the fat into the breasts at varying depths. Once the doctor has achieved your desired size and contour of the breasts, he will close the incisions with stitches hidden underneath the skin. Once the surgery is fully complete, you will be taken to the recovery area. Once in the recovery area, you will be monitored for a couple hours by our nursing staff before being released home. The doctor will also provide a prescription for pain medication to help with any discomfort that may arise during this time. Patients will be instructed to walk for a brief time the evening after surgery to help improve circulation and reduce the risk of blood clots from forming. You will be wearing a bra and this will help support the breast. Patients find that they can return to daily activities 3-4 days after the procedure. You can return to work in 3-4 days but work that requires more activity or strenuous movements will need an additional week. During this time it is important not to place too much pressure on the area in which the fat was transferred to. This will allow the new cells to become integrated into the existing breast tissue. Patients will be able to notice the results of their natural breast augmentation instantly. However, the full results will be apparent after a few months once the swelling has fully subsided. The results of this procedure are long-lasting because of its use of natural materials; the cells that are injected into the breasts will remain in their new location because they gain a new blood supply. Approximately 50-70% of fat that is transferred is retained. A breast fat transfer is a very individualized procedure. 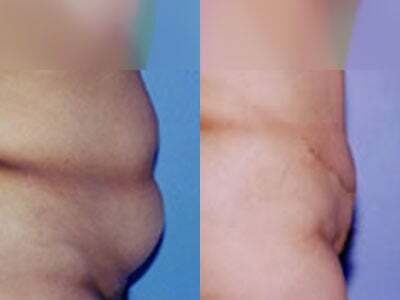 The price can vary depending on the areas being treated and the amount of fat that will be removed. In order to obtain your personalized quote, please contact our office and schedule your initial consultation. Dr. Gentile will create a treatment plan based on your particular goals, from which he will be able to accurately provide you with a quote for your exact procedure.